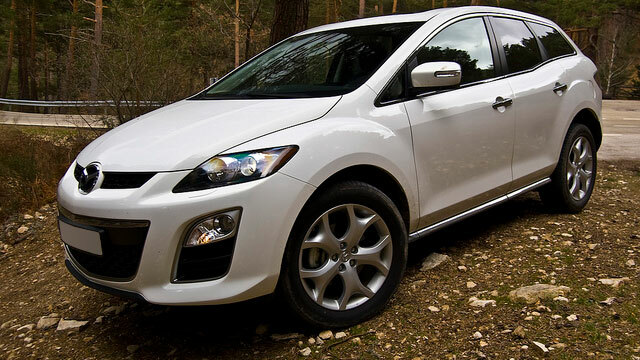 Are you searching for an auto repair shop in New London and Wilmot to bring your Mazda to? Your search is officially over, as the auto mechanics at Walker Automotive are experts at Mazda service. With many years of experience servicing virtually all makes and models of cars, Walker Automotive is chosen time and again by Mazda drivers throughout New London and Wilmot. If your Mazda needs service, our team of auto mechanics is here to help. From snow tires to transmission repair, we are the ones for the job. We back all auto repair, Mazda service included, with a 3-year/36,000-mile warranty. While our auto mechanics are diligently servicing your Mazda, you can rest and relax in our waiting room. If you have somewhere you need to be in the vicinity of New London or Wilmot, we encourage you to utilize our shuttle or loaner car service. “All work was done in a very timely and professional manner. I have been a Walker Automotive customer for 21 years and have never been disappointed in the quality of the work and service I have received.” -- Barry and Susan B. From preventative maintenance to a complex brake repair, trust Walker Automotive to handle any and all auto repair. It’s all about transparency here, as we are upfront and honest each step of the way. For a facility convenient to both New London and Wilmot that goes the extra mile to repair and maintain your vehicle, you are in the right place. Schedule an appointment for Mazda service. Walker Automotive is located at 3 Deerwood Dr., Wilmot, NH 03287.